The Lawrence Wilson Art Gallery at the University of Western Australia will soon open a new exhibition showcasing 25 years of work from renowned Australian artist, Helen Britton. 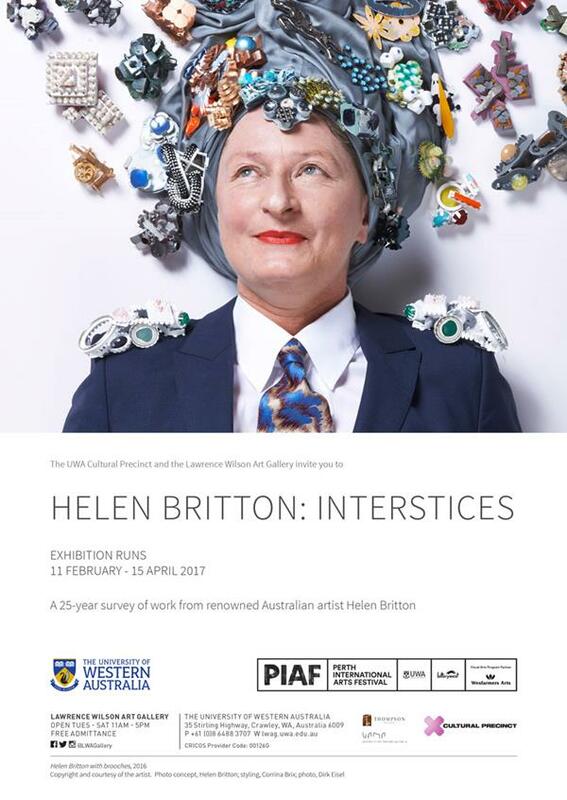 Presented as part of the Perth International Arts Festival, Helen Britton: Interstices includes new pieces that draw inspiration from Western Australia’s coastline. Inspired by the history of popular culture, Britton creates works that trigger memory. In examining these finely crafted objects, or experiencing the atmosphere of the exhibition scenography, you discover forms that resonate, establishing a dialogue between artist, object, space and observer. Helen Britton: Interstices runs 11 February to 15 April 2017. Opening 6pm, Friday 10 February. Go here for more information.